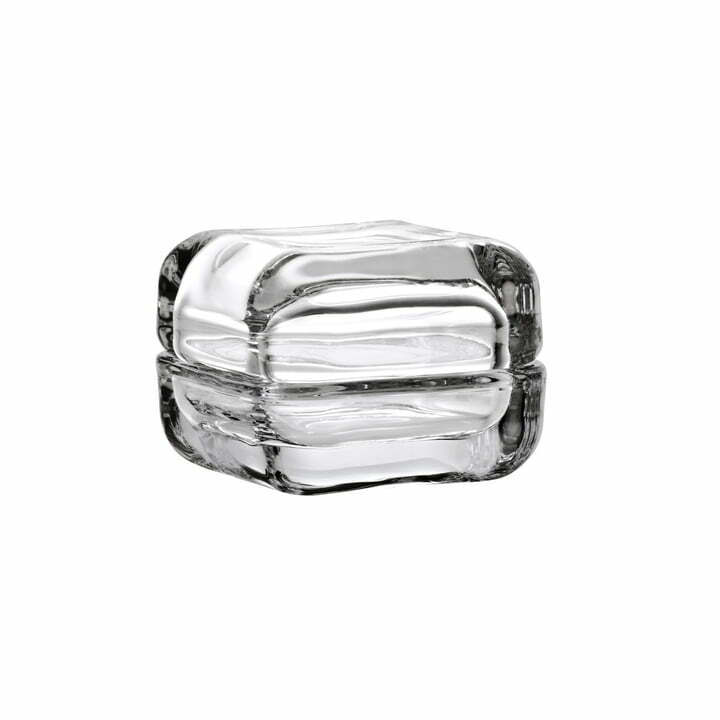 Everybody has things laying around which seem to be "homeless". 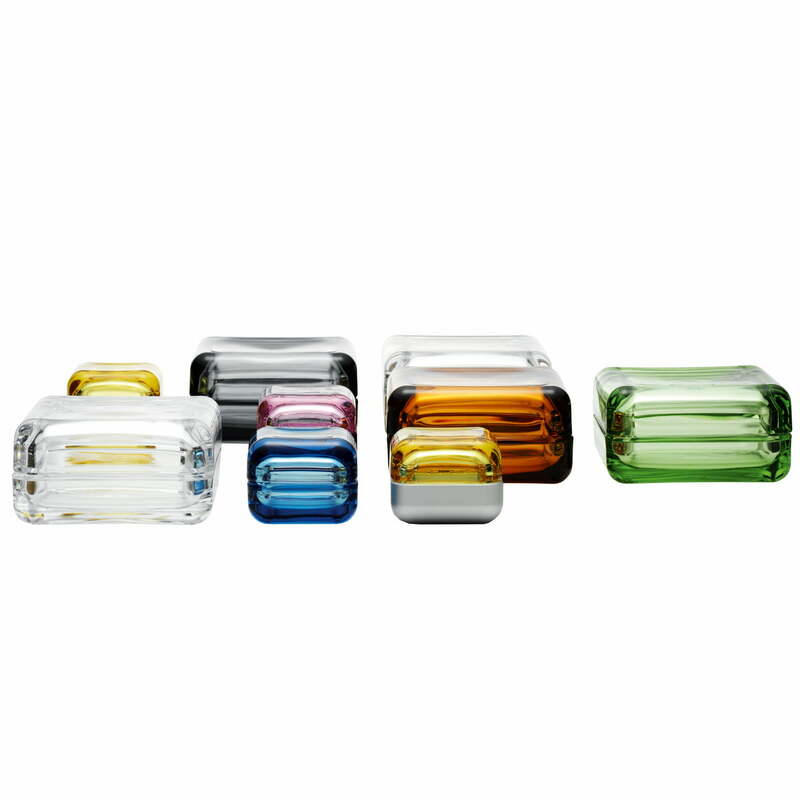 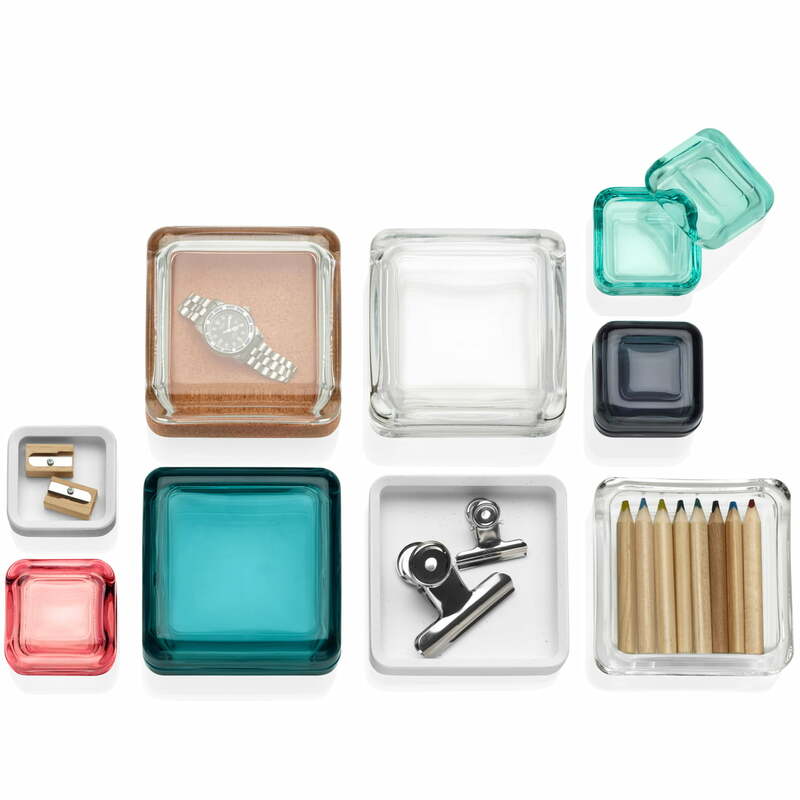 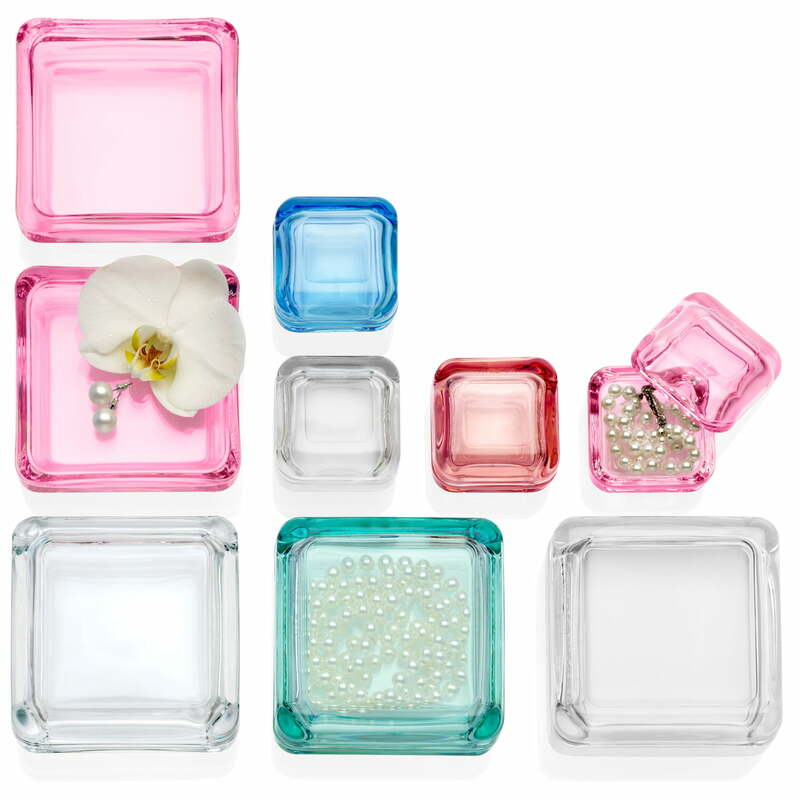 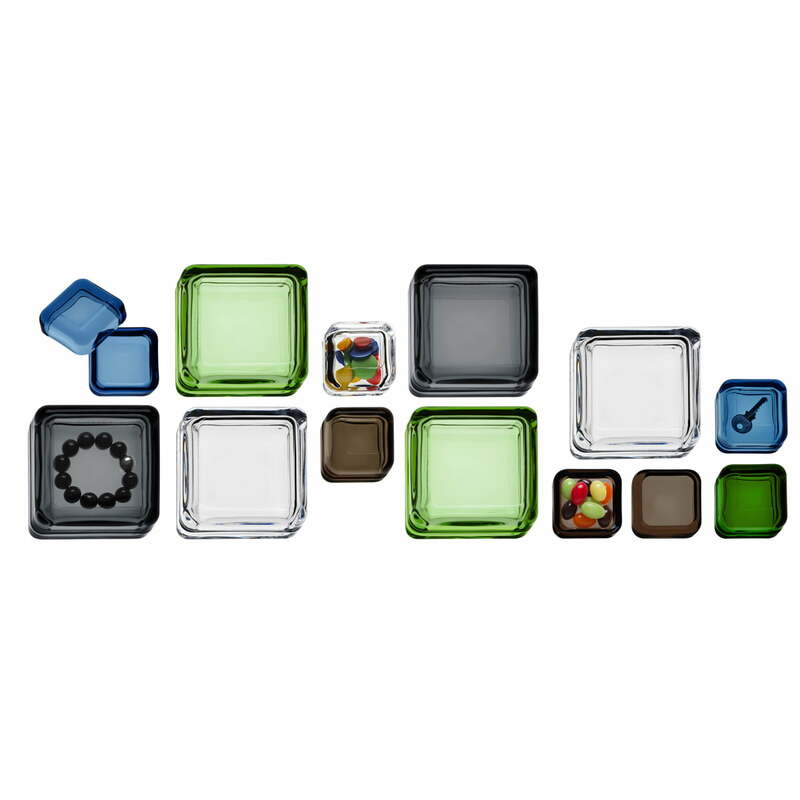 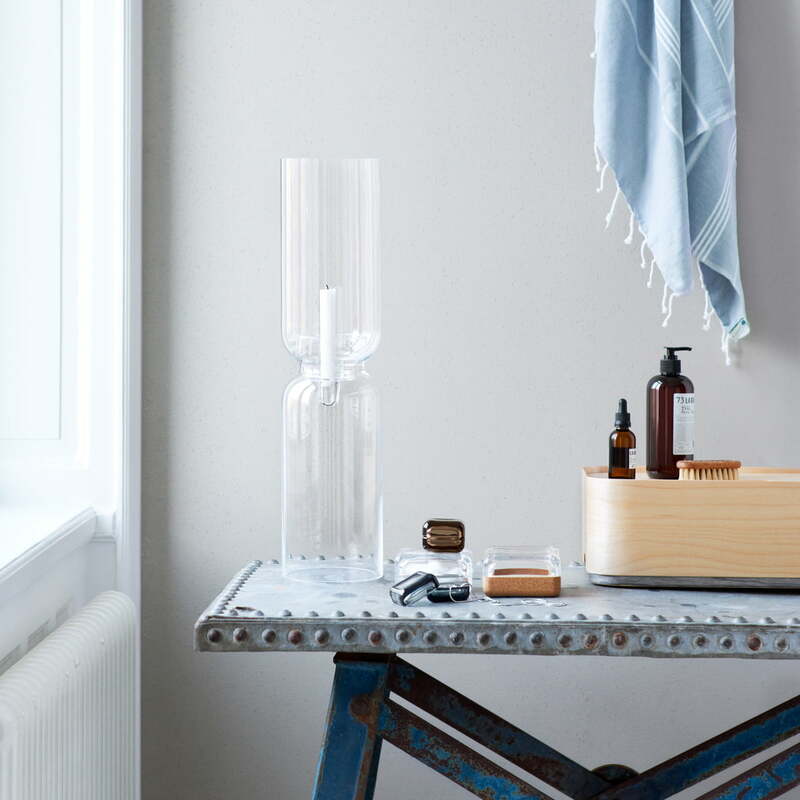 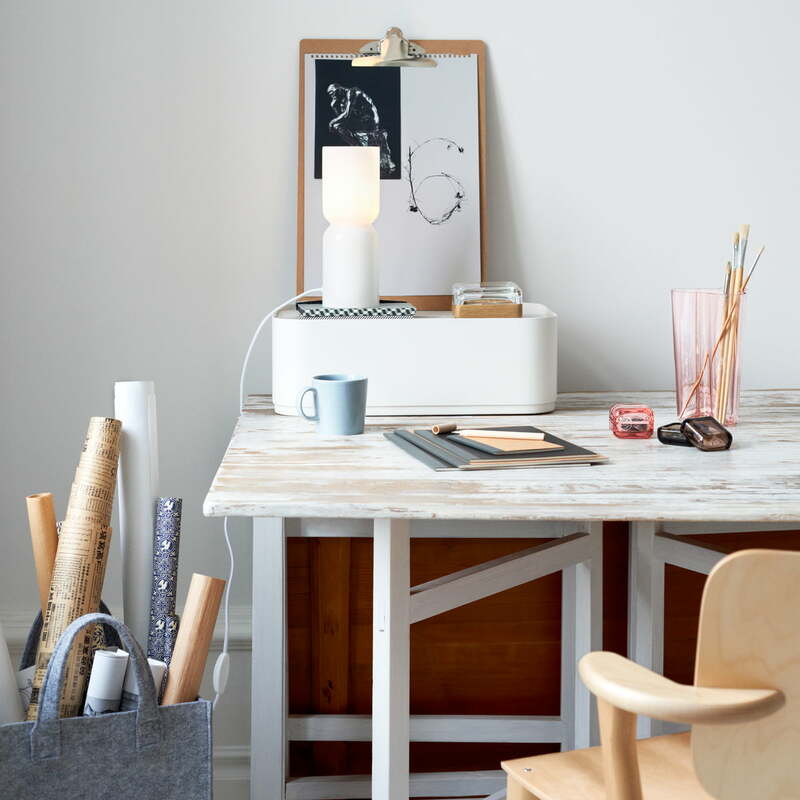 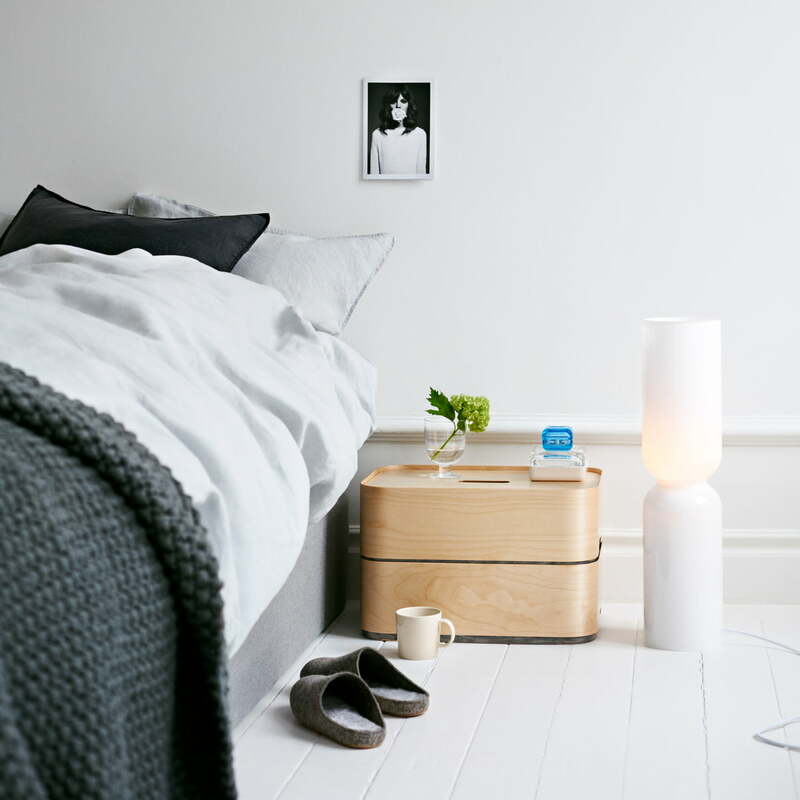 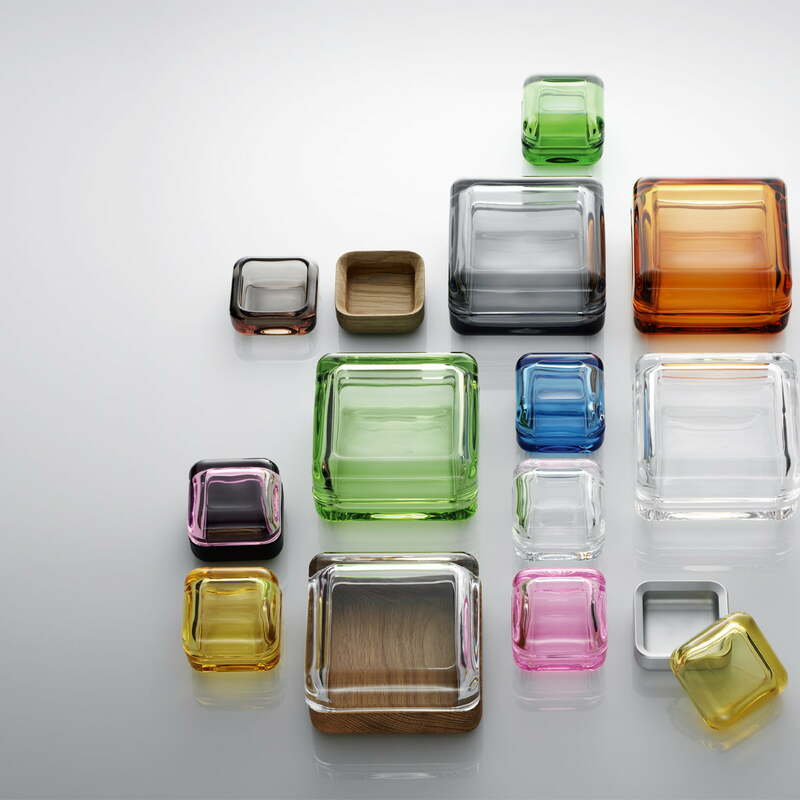 Iittala's Vitriini Boxes offer a very good solution for the storing of those things - presenting them very good. 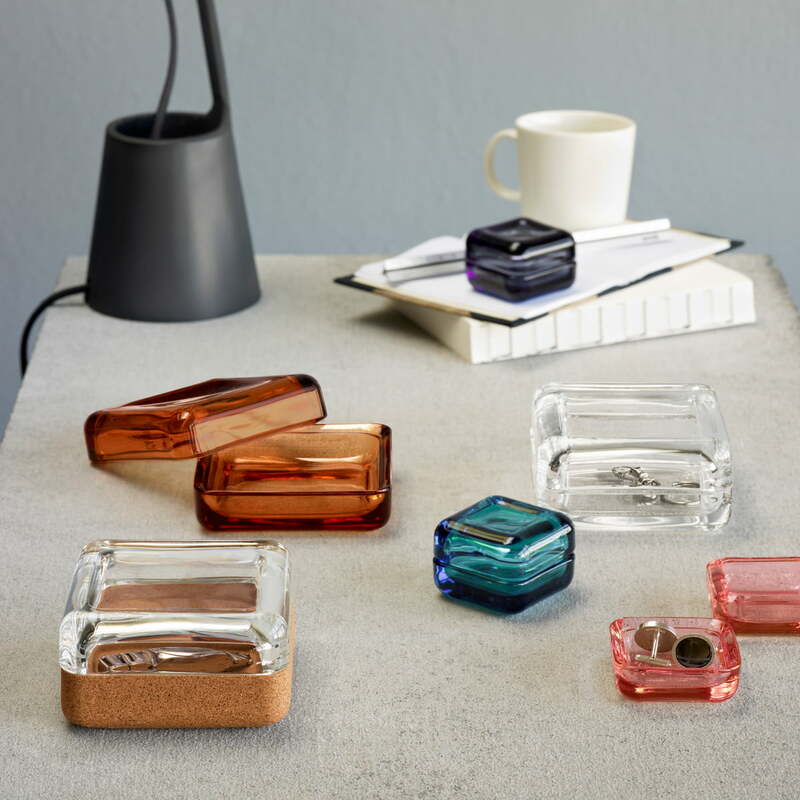 The Vitriini Boxes were designed by the glass designer Anu Penttinen, which became famous through the Penttinen Birds by Iittala and who is expertly with the use of colours. 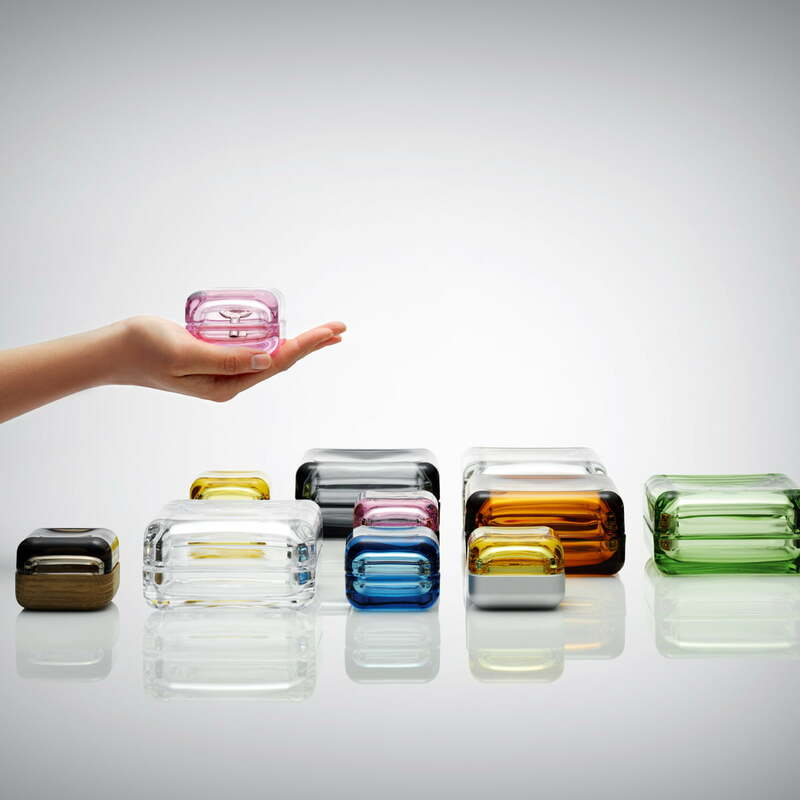 So a colourful collection of small storing boxes was created, in which glass, wood and aluminium were used. 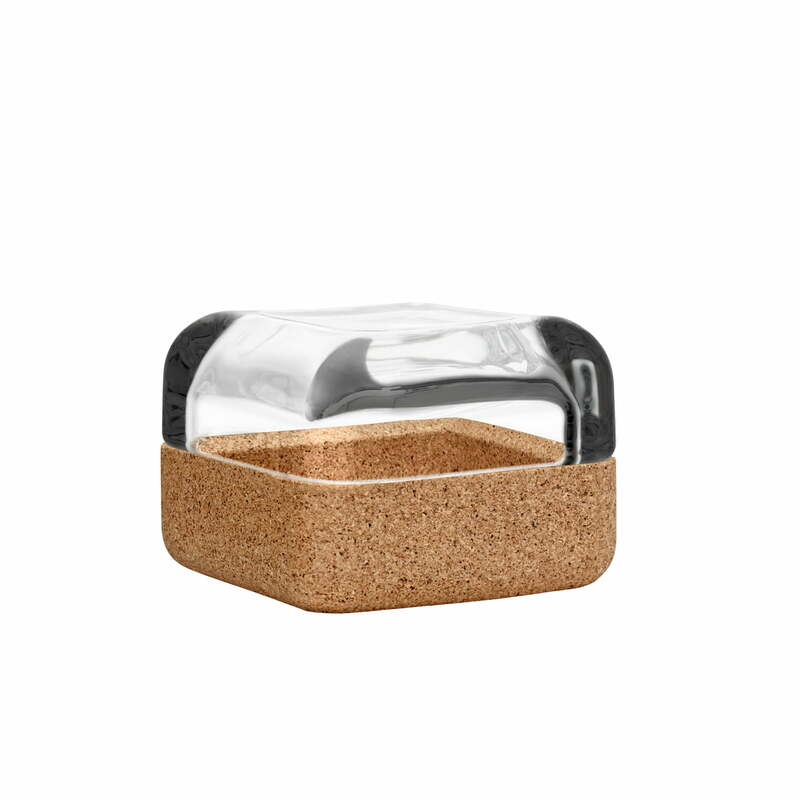 The Vitriini Boxes can be used for of keys, paper-clips, buttons, yewelry or other small accessories. 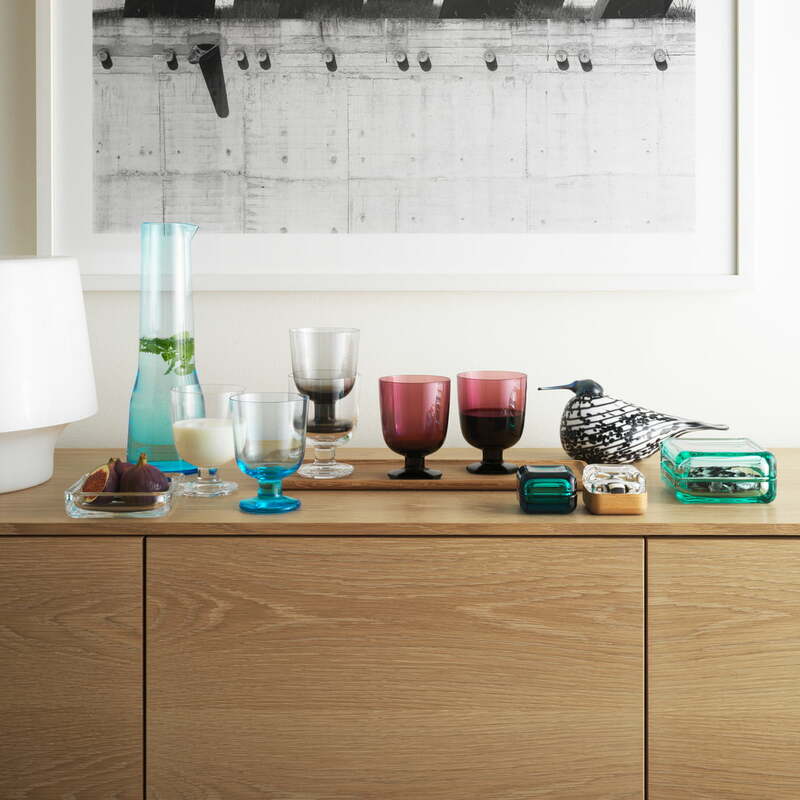 Also the boxes are beautiful collecting objects and a gorgeous gift idea. 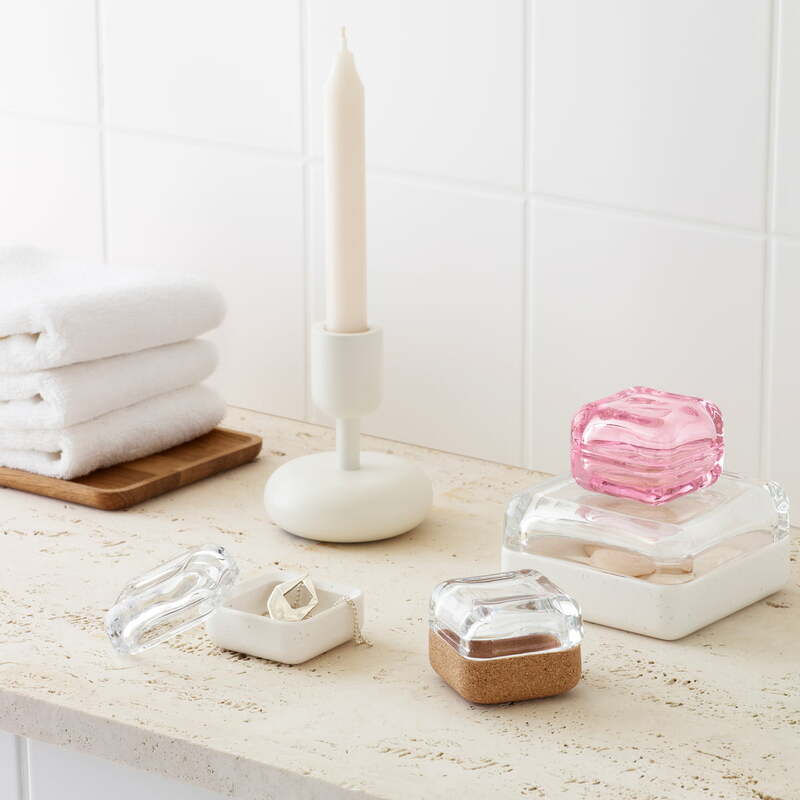 The whole collection includes 19 objects in two different sizes, which can be combined with each other and offer with that a hundret combination possibilities.